21st December, Tezu: The Diocese of Miao congratulates Rev. 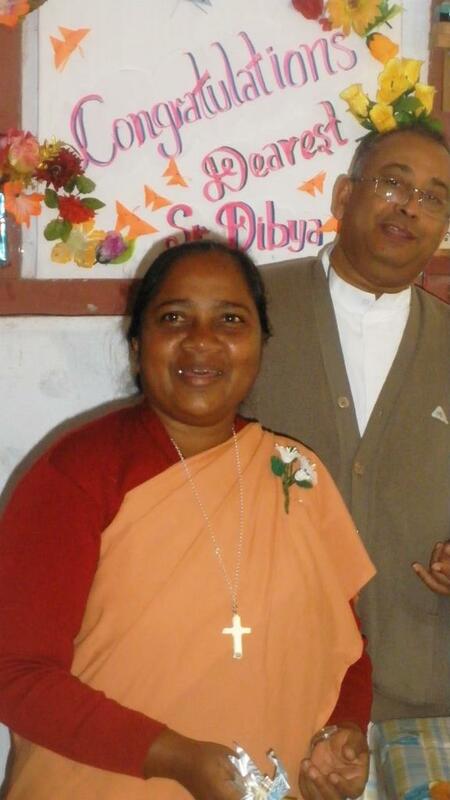 Sr. Dibya Lakra CSJ on her Silver Jubilee! Sr. Dibya Lakra joined the Congregation of the Sisters of St. Joseph of Chambery in the year 1983 and made her First Profession 8th December 1988. She has been serving in the Diocese in Tezu mission for the last one year as the Animator of the community and the headmistress of the school. On 21st December 2013, her community celebrated this important day with the Fathers and Sisters from the neighbouring communities. Bishop George presided over the concelebrated Holy Eucharist. He thanked God for the gift of vocation for Sr. Dibya and thanked her for her committed service to Tezu Mission. Congratulations, dear Rev. Sr. Dibya as you complete 25 Years of committed service to God!